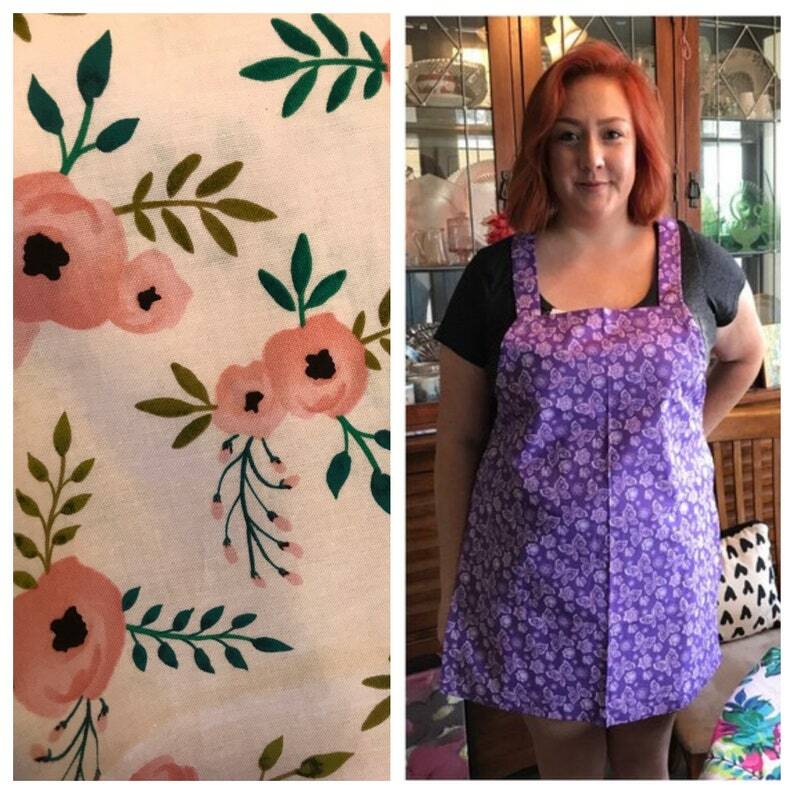 Bright and beautiful, handmade apron. Quilt quality, cotton prints, handmade, machine washable. You will receive one in a PINK FLORAL PRINT. All of the other pictures are to give you examples of the aprons’ size and several of the styles we have made.